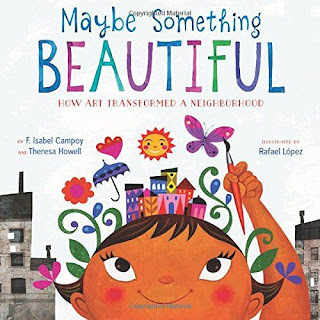 If you are a fan of art, if you believe in art’s ability to transform a house into a home or a city full of diverse people into a community with one beating heart, then I have found (with the most gracious help of Barnes and Noble’s one and only Story Lady) a picture book your family might possibly love. The illustrations tell a uniquely urban story. The scenery is filled with tall multi-level buildings and gray sidewalks. The people in the story represent a diverse set of cultures. They not only paint, they plant trees and flowers and dance in the street. 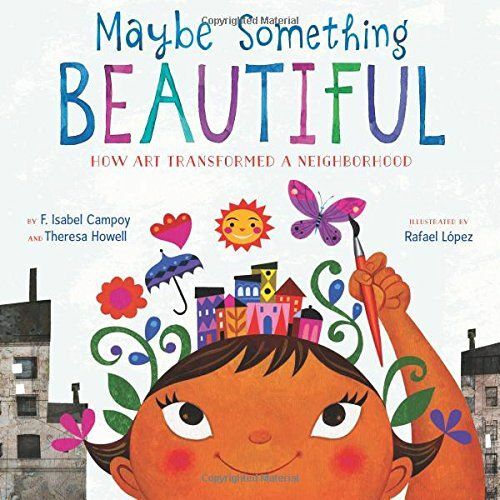 The book is based on the true story of the East Village in San Diego, California where Rafael and Candice Lopez began the Urban Art Trail in order to bring their community together through art. Their creation became a movement that has spread across the world. If there is an artist in you, this book will inspire you. P.S. If you live in the Houston area, you can take your kids to see the Story Lady at the Barnes and Noble in the Woodlands Mall, Saturdays at 11:00 am. She is familiar with most of the books in the children’s section. If you need a recommendation, she is a great resource.